One of the key things you must to do to ensure you have a safe, happy holiday at Club MAC Alcudia is prepare for any possible health issues. Of course, the majority of our guests never need to visit the on-site doctor, or utilise health insurance, but it’s always wise to be prepared. We have an on-site doctor available every day during business hours, so that should be your first port of call if you are worried about anyone in your family. Every country’s health system is different and so ours may not provide everything that you can get from the NHS in the same way. This means you must pay an excess if you visit our doctor on-site, so make your travel insurance covers this. If you are off-site and need emergency help, then you should call 112. This is our version of 999 and is free of charge to call. The word for A&E in Spanish is ‘urgencias’. Obviously, if you are at Club MAC, our team will help you with everything you need. Our on-site doctor means you will be treated privately, rather than through Spain’s state system. The UK Government advises you to always take out travel insurance when going on holiday overseas. This is for everywhere, including destinations within the EU and those outside of the EU. If you don’t have an EHIC (European Health Insurance Card), then you will be charged in full for any emergency care you have. You should always make sure you have full travel insurance for you and members of your family to ensure you have access to any medical treatment abroad. If you do need treatment at Club MAC Alcudia, then ensure you keep all receipts and paperwork so that you can apply to your insurance company for a refund on costs. What does the EHIC provide? Currently, the EHIC (which is free to apply for), gives you access to the state-provided healthcare in Mallorca for a reduced cost. Sometimes the care might be free. If you are ever asked to pay up front of treatment, then this is not under the state health system. The EHIC does not cover some costs. These include private treatment you have while on holiday, or the costs of returning to the UK. To check out the healthcare system in Mallorca, go to the Spanish Health Ministry’s website, and search for the region on the map. It’s in English too. In the same way as at home, you might be referred for hospital treatment by the doctor you see. Ask to be referred to a state hospital if you wish, which will provide treatment for free. You will need a valid EHIC to access this. If you don’t wish to be treated privately, you must double check this. What about Brexit and the EHIC? Nothing is yet confirmed regarding the UK leaving the EU and the affect this will have on the EHIC. Current advice from the Government is that if the UK leaves without a deal, then access to healthcare in Spain will probably change. As you are planning to visit Club MAC after 29 March 2019, which is the current date set for Brexit, you must obtain travel insurance. Advice is to apply for a free EHIC, as this may still be valid. At the same time, buy travel insurance in the same way you would if you were visiting any non-EU country. Further advice will be issued by the Government regarding Brexit as circumstances allow. Anyone with pre-existing conditions should have medical travel insurance before coming to Club MAC. Take any documents about your medication or condition with you, just in case. If you need to bring medication with you, get a letter from your GP explaining what the drugs are and why you need them. It’s always a good idea to have this translated into Spanish too, just in case you need to see anyone during your holiday. 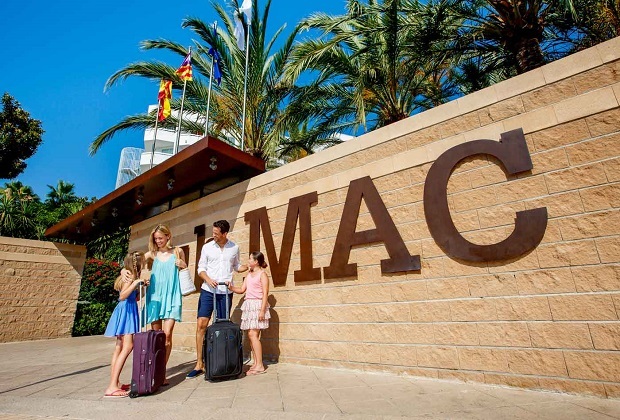 The doctor on-site at Club MAC Alcudia is a private doctor, which means that you will need to pay an excess on treatment. To ensure you are not charged, make sure your travel insurance has an excess included. Inclusive of the excess you will be charged. Medical expenses up to about £5m. Repatriating you to the UK, which may be necessary on rare occasions. Delayed and missed departures beyond your control. The loss or theft of your passport. If this isn’t included as standard, consider getting it added.